GHANAIAN REGGAE-DANCEHALL KING, STONEBWOY, COLLABORATES WITH DANCEHALL HEAVYWEIGHT SEAN PAUL ON LATEST SINGLE ‘MOST ORIGINAL’. With the video making it’s debut via The Fader, Stonebwoy continues to have an exceptional year that has seen both his music and profile reach dizzying new heights. Set in Jamaica and directed by Jay Will, the visuals tell Stonebwoy’s lyrical love story about his ‘Most Original’ lady. Visually the story unfolds through dance, against flashes of colourful Jamaican backdrops and performance cutaways of Stonebwoy and Sean Paul, resulting in everyone getting together for good vibes, dance offs and of course that happy ending. “Stonebwoy’s mix of dancehall and Afropop has made him a legit superstar in his native Ghana” (Red Bull). Having already built a huge homegrown following that has awarded him with accolades such as BET’s Best International Act Africa and nominations for MTV Africa Music Awards’s ‘Best Live Act’, the last 18 months has seen him take a firm grip internationally too. Collaborations with the likes of the UK’s Kojo Funds on ‘Falling Again’ as well as superstars such as Trey Songz, Chris Martin and Kranium simply illustrate the diversity and reach that Stonebwoy has, which is further supported by the 31 Million views he has achieved on his own YouTube channel and the millions of streams readily available to see on his Spotify page. 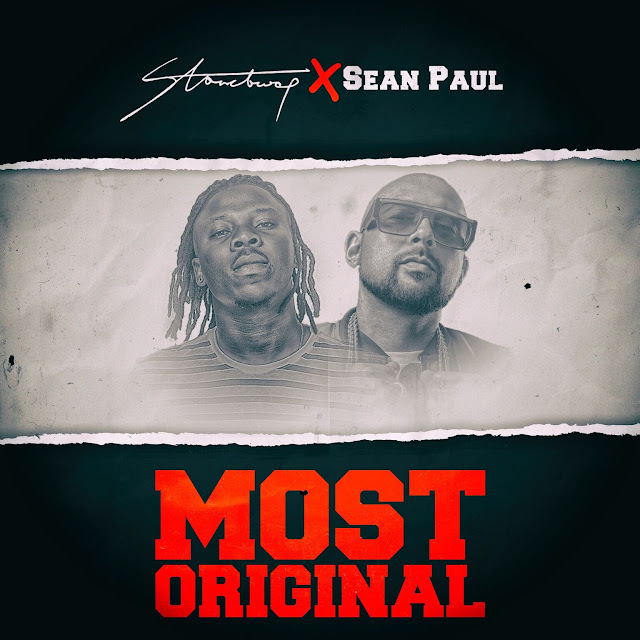 Following his recent impressive album release ‘Epistles of Mama’, which peaked at number 13 in the Billboard (world album) chart, and paired 12 dancehall tracks with 12 afrobeats songs, featuring an array of stars including Burna Boy, Assasin, I-Octane and Sarkodie, ‘Most Original’ is in a strong position to see Stonebwoy breakthrough even further.